At his one month appointment (four weeks really) Ewan was 22.5 inches long and weighed 9 lbs 6 oz. He’s had a cold almost two weeks already and that has not been much fun. It seriously interferes with him trying to breath, hot showers help. He is starting to smile when he’s awake which is so darling! He’s not a huge sleeper unless he’s sleeping on top of me which is always his favorite place. He does well at night, doesn’t get ‘awake’ more than just for a quick feed and back to sleep. Hopefully when we can get rid of this cold he’ll get some longer stretches at night. 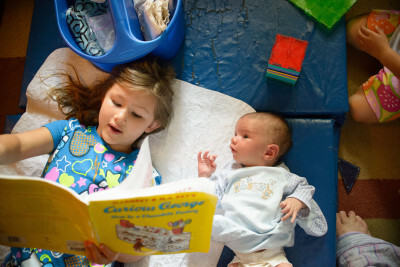 He LOVES his sisters and adores when Josie reads to him. He also likes to be outside and watch the world go by around him. He’s starting to enjoy some baths and adjust to the world in general. He also likes to swing to help calm him when I have to attend to things for me and the girls. He’s growing great, loves to eat all the time and cuddle. This time is going by quickly! I’m trying to cherish it as much as I can. This week we’ve been busy. My second week of just me and the kids, including a three week old baby. I know I’ll never remember this beyond a few days and I can barely even recall the entire week right now, so here it is for my own recall 🙂 Somehow nursing a baby and changing his diaper eats up a lot of time. Monday: Waited for the cleaning woman to show up in the morning and then hit up the zoo for lunch and most of the afternoon. We got ice cream on the way home. Josie whacked Celia in the face with the dog ball throwing stick from our neighbors. Tuesday: Sing-a-long in the morning at the library, read books, and grocery store in the afternoon. Wednesday: Morning we hosted the upcoming Kindergarteners playdate. Can’t remember what we did in the afternoon, clear sign of me losing sleep. I got Celia to take a nap and got to spend a little one on one time with Josie. Thursday: Took the girls into the city to wade in frog pond, had a picnic lunch with Jordi, and visited the globes including hearing the mayor speak about them. Played with friends for a short while when we got home and then went to an outdoor concert at the main library with a picnic dinner. Friday: Storytime at the library in the morning (we spend a lot of time at the local library), took Ewan to the doctor before having lunch with Jordi at home. Then we did art, reading/writing work and general free play until snack time, then joined the next door neighbors for a bike ride and dinner al fresco. 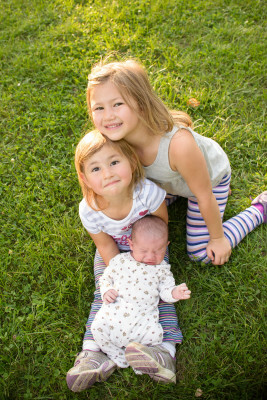 Just two weeks after Ewan was born, Josie turned 5 and 1/4 yrs old. She really likes to count those quarter years and is always very specific for anyone who asks. I wonder if she’ll start asking how many months she is once I start answering how old Ewan is in months? 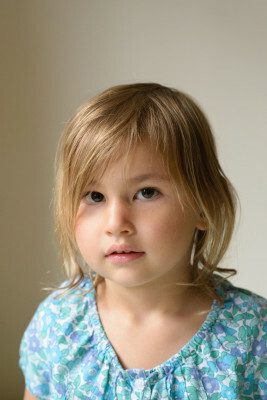 Josie is a vivacious 5 year old with lots of energy and curiosity. She’s a big user of the word ‘why’ right now, at times even when it doesn’t make sense. It’s more of a generic reply at this point. We’ve had the joy of having our eldest home with us now for the past two months since preschool ended and while it was a rough transition at the beginning she’s really settled into a home-based routine again. Her favorite toys these days are the magnatiles, her books, and her dolls with their dress up clothes. She is reading independently simply books now and it is such a joy to listen to her read and watch her read to her siblings. She’s not so fond of doing official reading lessons most days, but she just picks up so many books on her own to work on it and I’m sure that’s improving her skills. She also enjoys lots of pretend play both with Celia and with the toys independently. Sometimes it’s a challenge as Celia has her own ideas as to how the game should go and they have to work it out. Josie also dives into art projects when I can manage to get them out. Physically Josie has become quite the speed demon on her bike and wants to ride it most every day. I will often take both of them out for a ride at the cemetery at the end of our street with nice wide, clear paths and no cars. She’s fairly confident and careful but we haven’t tried real roads or even the busy bike path yet. So far it’s been good and so we’ve stuck with it. She’s also continued with gymnastics this summer although we’ve missed a number of weeks with the baby and vacations. We haven’t signed her up for fall yet, but once we’ve settled into a Kindergarten routine we’ll see what she wants to do. 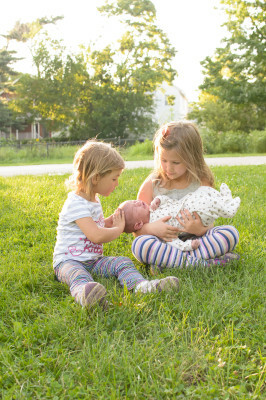 With her new baby brother in the picture, emotions can run high and low. She’s very sweet to him and as I mentioned will often read him stories which he really enjoys. He watches her and the book and wiggles and makes noises right along side her. At other times she’s frustrated by having to wait for his needs to be met, or me asking her to not be quite so loud right next to the sleeping baby. Overall I think she’s grown to like him more lately as he gets more interactive and I regain my energy to do fun things with her. Josie still loves to spend time with her friends, with school being over that requires some more effort on my part to try to set up some playdates. She’s let her school friends mostly fall away pretty easily. We still spend regular time with Bronwyn and Sophie and up until August lots of time with Adelaide too. We actually had swimming lessons for two weeks with Sophie and Adelaide. Adelaide’s family moved back to their home now that their year long positions were over. She’s been meeting a few new kids that will be in her Kindergarten class this fall at playdates and I’m sure she’ll make lots of new friends quickly. She will be in class with Bronwyn, but no one else she has played with regularly before. She’s a bit concerned that school won’t be much fun without any friends in her class. Otherwise she’s pretty quiet about the topic of school coming up in a few weeks. Mostly people ask her the question of ‘so are you excited for school!’ or ‘don’t you just love your new baby brother?’ I can see how that might be tiring for her, especially with such loaded questions. It has definitely been a summer of change for her and she’s handled it pretty well. We’re trying to keep things flexible where we can to let her adjust at her own speed. We’re really going to miss her with her being in school so much of the day this fall, but I think the regular schedule will be a good thing for us all again. She put on some jeans to wear the other day and I’m so amazed at how she’s such a kid now, not a baby or toddler. She sometimes looks and acts so much older, it’s so interesting to get a glimpse into her future. And then she’s back at being 5 again when some unfortunate disappointment comes her way. Favorite book: all of them! 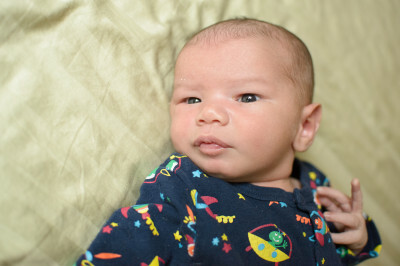 Today we took Ewan in for his 1 month appointment, which happened to be exactly on his 4 week birthday. He has grown another 12 ounces in 14 days making him now 9 lbs 6 oz and grew another inch. The doctor is very pleased especially considering he’s had a cold for the last week, he’s definitely still getting his fill. Here’s some pictures from earlier this week of him. good news: today I took the kids to the zoo. We were a tad late as our new cleaning person didn’t show up when she said she would and we had to wait. But not too bad, we got there and walked the path over to the picnic tables to have lunch first. We were meeting up with my friend and her kids too. She had an extra kid with her to help out another friend, lets call him M.
bad news: that then meant we had 7 kids on two adults, as we each have three of our own. 5 years and under. good news: two of those children are babies and can’t walk. We had a nice lunch and then attempted the cleanup. bad news: children have to use the restroom after eating. good news: two adults! we decide to divide and conquer. Boys go first, two of them. bad news: girls need to pee too, and the zoo is crowded so this is taking a long time. good news: of the four children i am watching only two can walk. bad news: one of those children is M, an only child not used to child-herd rules and requirements — despite him being briefed on those before arriving at the zoo. good news: the zoo only has one entrance and exit. bad news: zoo has lots of dangerous animals and exhibits. good news: i did not loose one of my own children. bad news: M walked away somehow without me seeing. good news: woman with three larger children of her own sees me freak out and offers to stay with remaining three children. bad news: i have to tell my friend i lost her friends kid, and look for him. Running through the zoo feeling like such an idiot. good news: I think to go tell the people at the entrance. bad news: they ask me what he’s wearing, his name and age. All I can say is blond boy age two or three. good news: I get back to the other kids and my friend has found M. Yay happy ending! Find out later he walked up to another random mom and asked for snacks, she asked where his mommy was and he couldn’t answer so she just kept still with him till my friend got there. Going through the rest of the zoo we saw how he got away from me, he just kept running away from us with no regard for where we might be or be headed. We put the 5 year olds on a ‘secret mission’ to keep him with us an that helped a bit. That was not so fun. At least our own kids have learned the kid-herd requirements of mostly staying together! Oh my I’m a little behind, but hey I had a baby only two days after Celia’s 2 and 3/4 years of life after having lots of pre-labor labor, and now said baby usually keeps me on the couch every evening feeding him until we both go to bed. As for Celia she keeps us hopping all day long from when she wakes us up in the morning till she drops at night. Celia has now taken the crown as person who talks the most in our family, and that’s no easy feat considering Josie talks almost constantly as well. It is very loud at our house and can be hard to get a word in or get someone to listen to you. We’re still working on teaching her the skill of not interrupting. Celia is loving our new addition to the family. 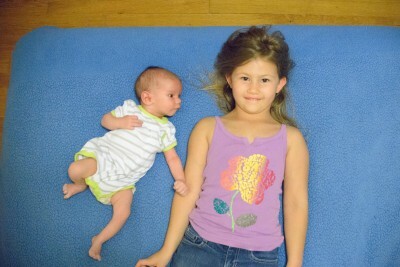 She’s not too frustrated with him yet and asks to hold him at least 5 times a day. She gives him lots of kisses and hugs and is always asking ‘where is the baby?’ Ewan in return gives her open mouth kisses trying to see if she will nurse him. She’s excited to be big, but also likes to pretend to be the baby too in her pretend play a lot. Josie often plays the part of the mother in this game. Fruits and vegetables are Celia’s favorite foods, to the detriment of trying to get her to eat anything else. It provides good nutrition so long as I can get some protein in there too with cheese, beans or eggs, but often hard to get her to eat enough calories to keep her from getting hungry before the next meal or snack. She loves tomatoes and I serve a side of those with most every lunch and dinner. Celia is not very interested by art these days, finishing up her projects quickly, she’s much more interested in big active movements. 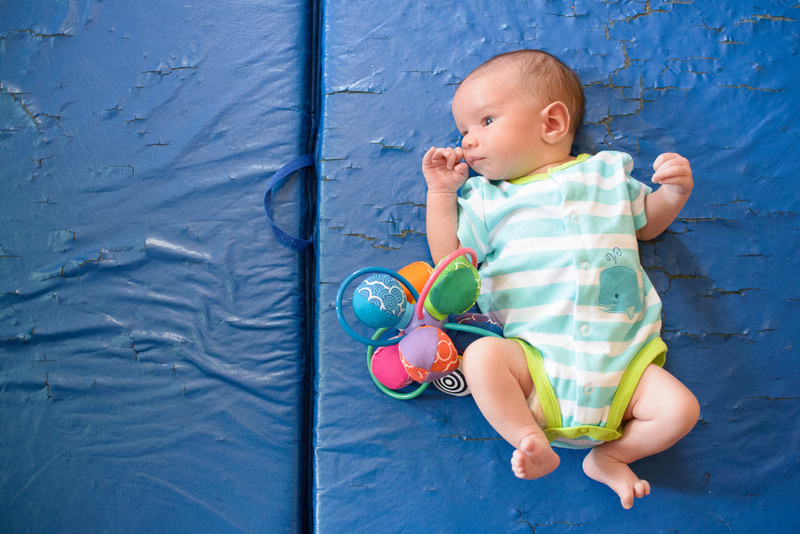 She’s very much looking forward to starting gymnastics again this fall. She loves to dance to the ‘movement songs’ we got from Josie’s preschools, hopping around on the inflatable horse we have, and riding her bike all over the place. She rides the little red balance bike we’ve got all over the place, to Waldo, around the cemetery and to Quebrada. She rides up and down the hills and glides her way all over town keeping up with Josie on her pedal bike. She could possibly even use a real bike at this point if we tried, but I don’t think I’d quite trust her common sense and judgement yet. At home, Celia loves to read and to play dress up and pretend. She pretends almost every day to be going to gymnastics, including the outfit changes and the car rides. She also plays doctor frequently or ballerina. As always, very active and always moving. She has a hard time sitting still, normal for a two year old, even when eating. She will sit still to read which we do frequently while the baby is nursing. 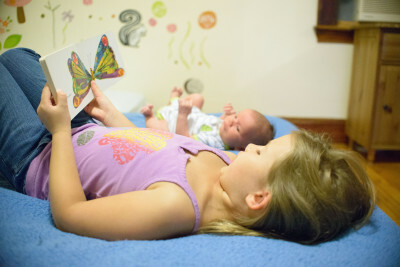 She’s also taken a big interest in having her own ‘reading lessons’ like Josie and so I’ve started her on the book of learning to read, it just starts with memorizing poems about letter sounds. She has also completed a few cutting books and is an excellent scissor user, following directions and cutting complicated patterns. We’ve also started a book on tracing, which is beginning lettering as her hand control is improving. I can also make her letter tracing patterns on the computer as she wants to be just like big sister and write. She recognizes a few letters and very much knows the number 7, as that’s when she’s allowed to wake us up in the morning in addition to being the number on the bus (77) that most frequently is by our house. She has thankfully gotten past the toughest part of the 2.5 stage, just shy of 2.75 years old. She’s often frustrated and disappointed still that the world isn’t going her way, and I have to physically reinforce the rules a lot which now that I’m not pregnant is thankfully not so bad. But she recovers from her disappointments a bit quicker and can regain her composure to have a discussion at times. All in all she’s still an enthusiastic kid, loves to play with the big kids at the park and gives lots of love and cuddles. I’m so very happy she fits back into my lap again. We will be starting homeschool preschool with our same family friends that I did it with Josie two years ago with our second set of kids while the first-borns are in school and I think she’s going to do great. 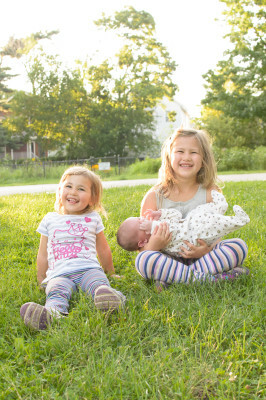 All three kids together down at Magnolia park last night! Ewan has been doing very well these first two weeks and the doc said he’s in fantastic shape physically at his last exam. He was born at 8 lbs 10 oz, by day 3 was down to 8 lbs even and by yesterday was back up at 8 lbs 13 oz, which was over an ounce a day weight gain from the previous check! He’s also grown from 21 inches to 21.5 inches long, and his head has grown a quarter inch as well. You are currently browsing the JenJordi.org weblog archives for August, 2013.